Hello to all my Creative time peeps!! Today is another Throwback Thrusday Challege at My Creative Time! For todays project, we were challenged to use any cartridge with a frame. 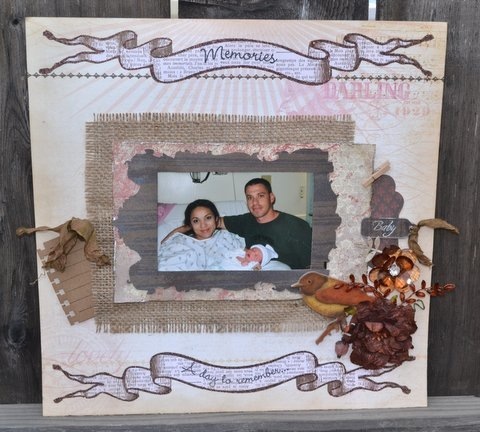 I made a layout and used a frame from the Teresa Collins Baby Boutique. Its a very non traditional baby layout of my son but I still like how it turned out! I think Ive use the Cherish This Moment stamp set on many layouts now!! Love them!! 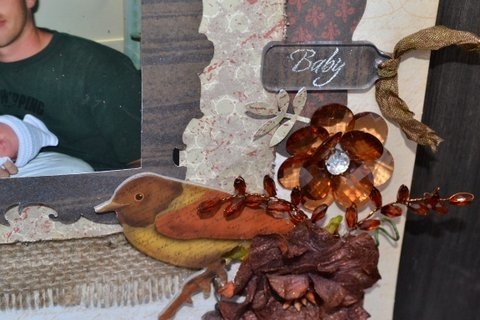 Thank you so much for stopping by and don'r forget to stop by My Creative Time for some more DT crafty ideas! 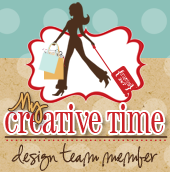 If you would like to participate in this Challenge, there will be a linky on My Creative Time post. The deadline for this Challenge will be May 9th. Sweet memory and wonderful LO. Nancy ~ well isn't this the most BEAUTIFUL layout! The details are just GORGEOUS! 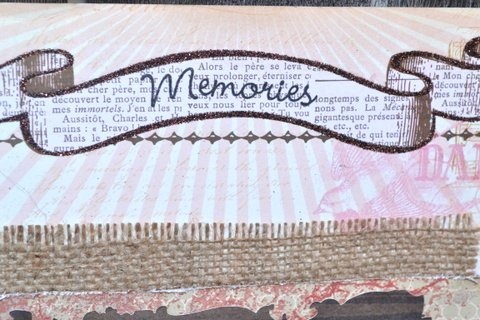 The best is the picture ~ what a great layout for such a precious memory! I just ADORE your style and layouts! AWESOME job ~ sweet Nancy! What a beautiful layout. I love the burlap and the embellishments. Very pretty. Beatufiul...love the little flower ensemble! Great job on your frame...I really like the banners cut from the print. It all looks great!